How do you feel about teaching grammar? Do you think it should be taught in isolation, in context or both? 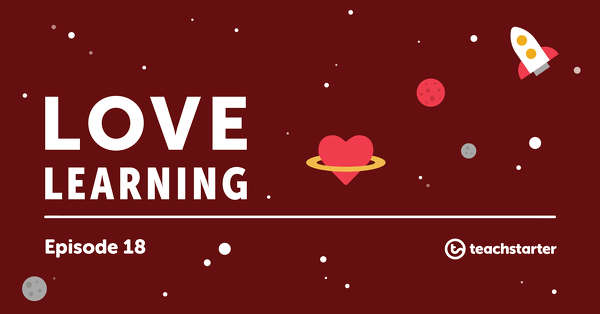 Do you love teaching grammar or hate it? During your teacher training, it’s likely that very little time was spent on teaching grammar. There isn’t a huge amount of support out there. Teachers are often forced to rely on the glossary of grammatical terms at the back of a curriculum document. These documents usually give only a brief explanation of the terminology. 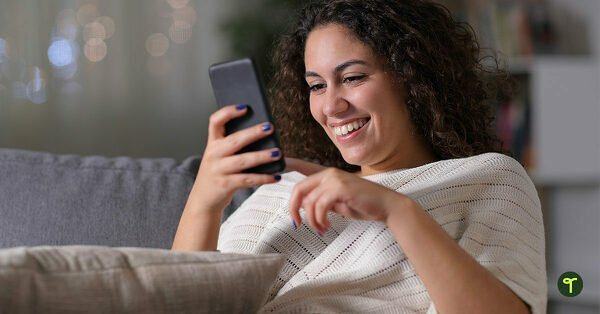 An internet search isn’t always reliable. There are often several different answers to a question asked and it can be hard to know which answer is correct. Do you know what our recent number one teaching resource request was? Brooke, you are famous! 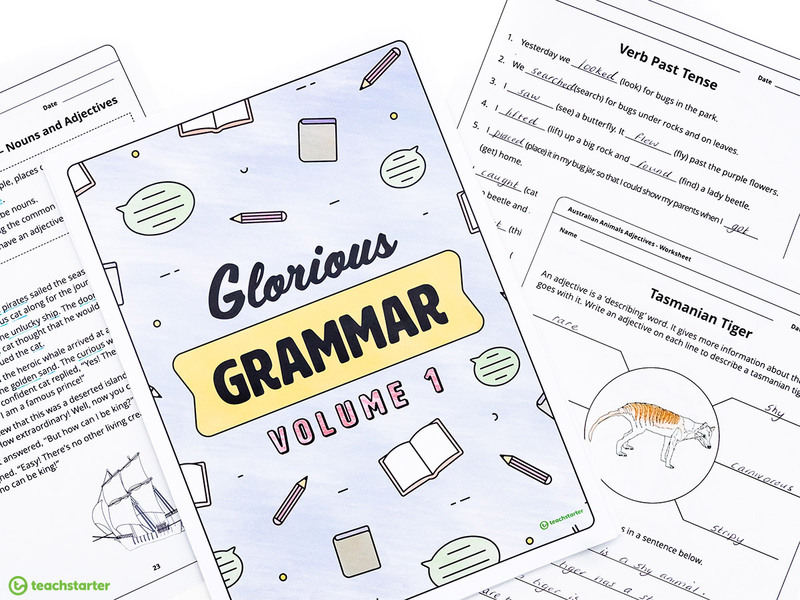 Our brand new Glorious Grammar Volume 1 – Worksheet Book has been created in response to a request that received 1088 votes!!! With that kind of number, we figured that you must need some help with teaching grammar. 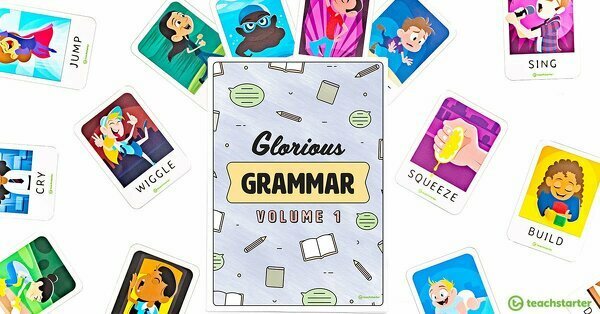 Glorious Grammar Volume 1 – Worksheet Book includes 5o grammar activities! It is perfect to use to consolidate grammar and is a must-have grammar backup for middle to upper years teachers. 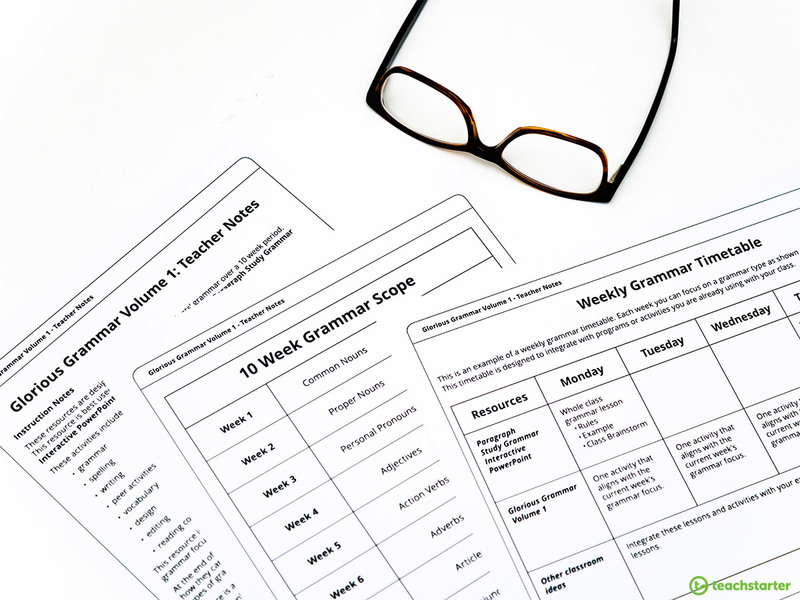 Glorious Grammar Volume 1 – Worksheet Book has been created with a ten-week term in mind. It can be used by timetabling a grammar focus for each week and completing 5 activities per week, for 10 weeks. At the end of each week, students need to complete a Grammar Sentence Challenge to show how they can use their grammar skills in context. an example of a weekly grammar timetable. Download and print a master copy of the Glorious Grammar Volume 1 – Worksheet Book. Pick and choose from the 50 pages as and when you need to. Pick, choose and laminate relevant worksheets and use them during English Groups. Use the worksheets as a fast finisher activity. Choose worksheets in conjunction with your grammar focus and use as a meaningful homework task. Create a holiday workbook for students who are taking extended holidays during term time. Glorious Grammar Volume 1 – Worksheet Book is designed to be used in conjunction with a Paragraph Study Grammar Interactive PowerPoint. The Paragraph Study Grammar Interactive PowerPoint is an interactive teaching presentation that is great for modelling grammar uses in literary texts. 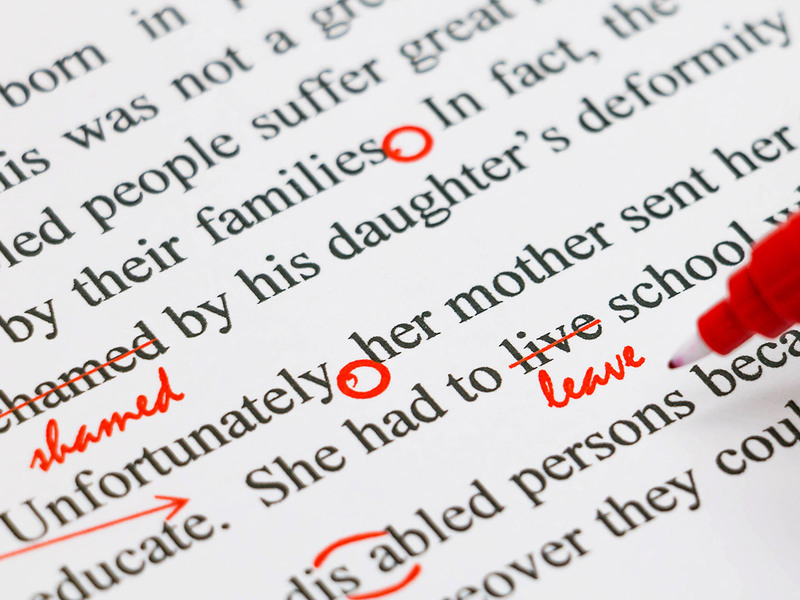 It allows you and your students to learn and revise grammar by highlighting paragraphs. Each grammar focus is clearly explained and then students are given a chance to observe grammar in action within interactive paragraphs. You can use the interactive tabs that name grammar features to highlight their locations within the text. It’s ideal to work on one slide a week to make the most of the steady progression and the increase in challenge. Students will gain diverse skills not only in grammar, but have opportunities to increase oral presenting, reading for meaning, creative writing and vocabulary use. Each session also includes an interactive writing or typing tool to brainstorm your own collection of grammar from your classroom discussions. Before we go any further let’s pause and make sure that we are all on the same page. Teaching grammar in context is hugely important and research shows that it gets the best results for teaching and learning. Grammar knowledge involves your students understanding the role that grammar plays in constructing texts and making meaning. Put simply, grammar features such as nouns, pronouns and adjectives don’t have much of a purpose or function as words on their own. Our students need to learn and understand how different types of sentence structures present, link and develop ideas in reading and writing. Teaching grammar in context will help it be more enjoyable, meaningful and motivating for your students. We have a huge collection of grammar teaching resources that teach grammar in context! Don’t miss out on our curriculum aligned English Unit Plans that teach grammar in the context of text types. Make teaching and learning grammar fun by playing games. Name That Noun! 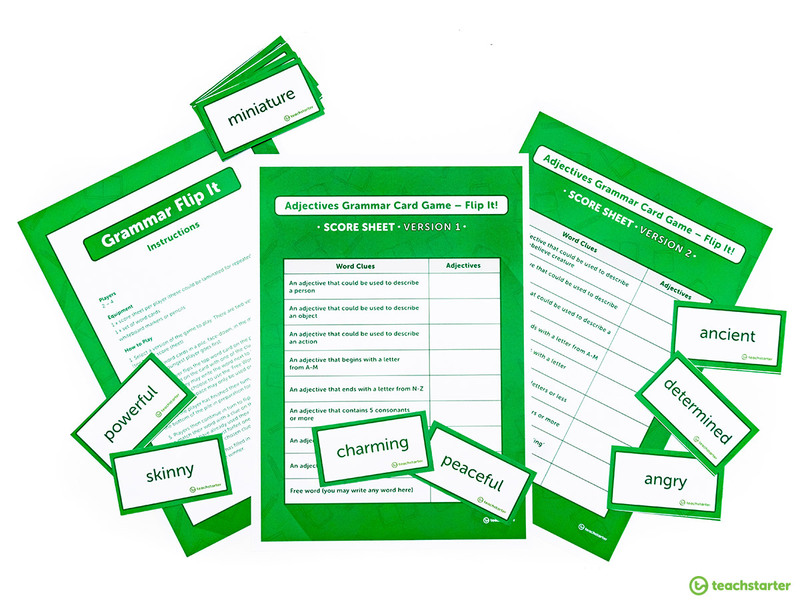 is just one of our grammar games that will motivate your students and break up the grammar grind. It’s a lot of fun and perfect for use during literacy group rotations! This game is super easy to set up and you’ll get a lot of use out of it. All you have to do is print out and laminate copies of the score sheets and letter cards. There are four different versions of the score sheets so that your students can play the game multiple times and experience a bit of variety. 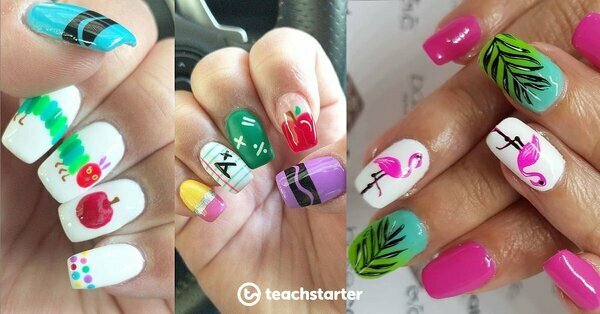 Your students will quickly get the hang of how to play. A letter card is flipped over at the beginning of each round. Then, students are encouraged to use this letter to write nouns next to every category on their score sheet. An egg timer or stopwatch adds extra excitement as your grammar whizz students race against the clock. 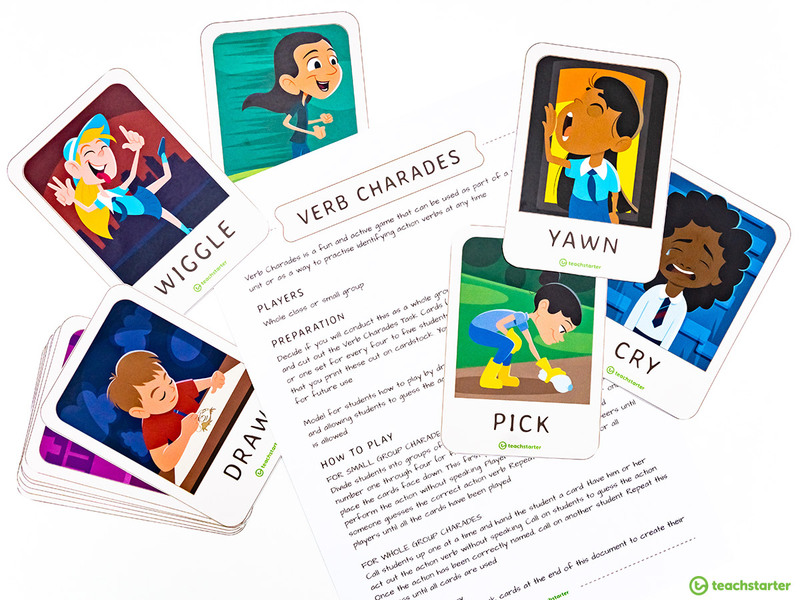 For lower years, put grammar into real-life context and play Verb Charades. This new teaching resource is an active game in which students can practise identifying action verbs while having a lot of fun! Students select a card and then act out the verb they have chosen. There are 18 cards to choose from. Similar to the dice game Yahtzee, students must try to fill in adjectives next to every clue on their score sheet. The player who has filled in the most words on their score sheet at the end of the game is the winner. For more tips and activity ideas to teach grammar, read my blog 20 Grammar Activities to Use in the Classroom. 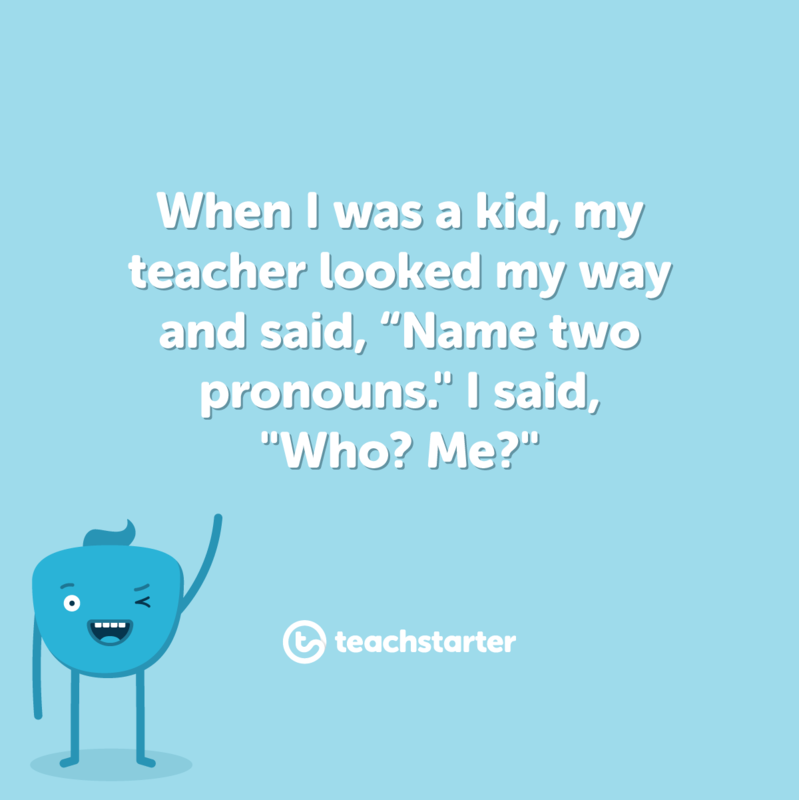 Most kids love learning grammar and between you and me, I love teaching it! I hope that you are feeling a bit less alone in the world of grammar. I hope that our new Glorious Grammar Volume 1 – Worksheet Book and Paragraph Study Grammar Interactive PowerPoint make your life a whole lot easier and your classroom buzz a little bit more than it was already!